Make yourself comfortable in the ski “chair” and explore the slopes with your instructor at the controls. Qualified instructors are on hand with specially-adapted equipment to help you try out this new form of sliding sport. This activity allows you you to slide on the slopes without caring about anything. Seated or lying comfortably in a ski "chair", you will be guided by one person behind you. 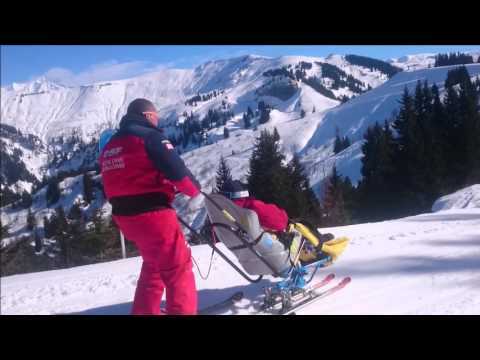 This is a very useful option for disabled persons who want to go somewhere in the mountains. From 21/12/2019 to 10/04/2020, daily.